Does London pop up in your travel plans occasionally but you end up putting off a visit to one of the most exciting and historical cities in the world due to cost issues? The biggest consideration might be the cost of your accommodation, which is widely known to be pricey just like everything else in the city. However, a little research on the cheapest hotels in London would always do you some good in snagging a comfortable yet affordable budget hotel in London, which can be found in almost all parts of London, including Central London as well as the outskirts. Hence, with the countless accommodation options for budget travelers readily available, especially on the Internet, you do not have to spend more than you should on your accommodation in London as the rest of your expenditure is better spent on food, entertainment or business in this vibrant city. So, where and how do you start researching on these cheap London hotels, you may ask? You can start right here, as I will provide some useful tips on the types of budget accommodation that is available in London, where they can be found, and which website we recommend for booking your hotels in London. Although the budget and middle-ranged accommodation in London tend to be small, they are cozy and equipped with a basic range of amenities such as telephones, televisions and attached bath and shower, which should be enough to satisfy your accommodation needs. Both hotels and bed and breakfasts belong to this category of accommodation and typically include breakfasts in your room rate. They also usually come with different room configurations ranging from single to quad (family) to cater to different group sizes. If you are planning a stay in London on a shoestring budget, you might think that you have to choose between cost and convenience, as you might have learned that the cheapest hotels are located in the outskirts, which makes it majorly inconvenient for you to travel to the city centre every day. However, there are many hotels in London itself, including central London that are value for money and remain affordable for most visitors. So why not stay in an area which is the centre of London’s extensive road and rail networks and is close by major attractions such as the London Eye, Westminster Abbey and Buckingham Palace? Staying in this area not only enables you to get around easily via the London Underground or bus network, there are many charming, quaint hotels and bed and breakfasts here too. 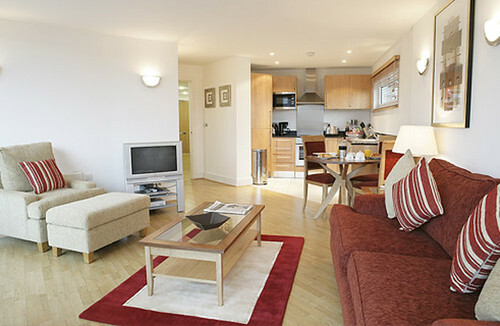 Budget hotels and hotels in the intermediate price range are scattered throughout London’s districts. If you have a slightly larger budget, you may want to consider a stay in a branded hotel for the unique experience it provides. Such branded hotels were converted into hotels from town or office buildings, yet still retain the stateliness of their former incarnations and are cheaper than luxury hotels.